Time to give your garden decors a new fantastic twist! Pallets are being creatively modified to build all the outlandish, general and amusing garden decors and sculptures, you can also take part in pallet projects if want some perfect art pieces to jazz up your green spaces! 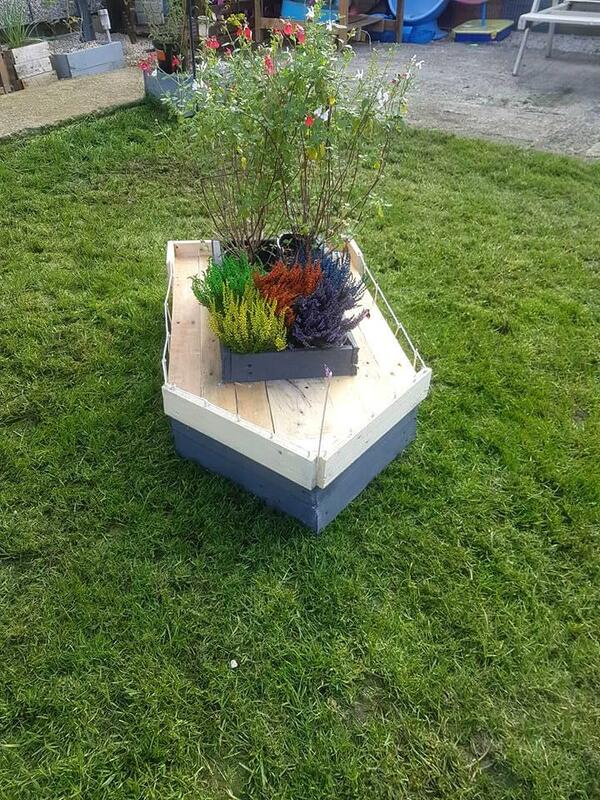 Have a look at this DIY pallet boat planter inspired of a double Decker ship, upper level of which has been filled with potting soil and comes with colorful grown up flowers! 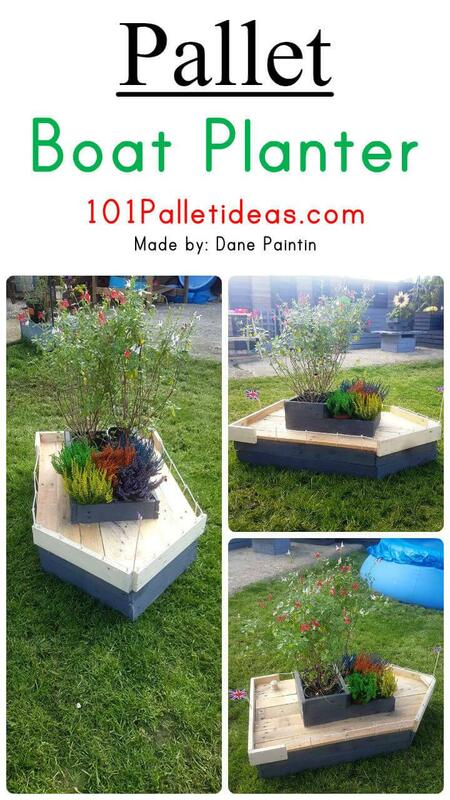 If you are always surrounded by old wood or pallet wood leftovers, then you can just use them to duplicate this lasting pallet planter! This is something very new has ever been made out of pallets for garden decors! Lot of care has been taken to build the tiny parts of this planter ship like the mini fence all around! Rear and front of the ship has been added with a union jack flag just for expressing country love! 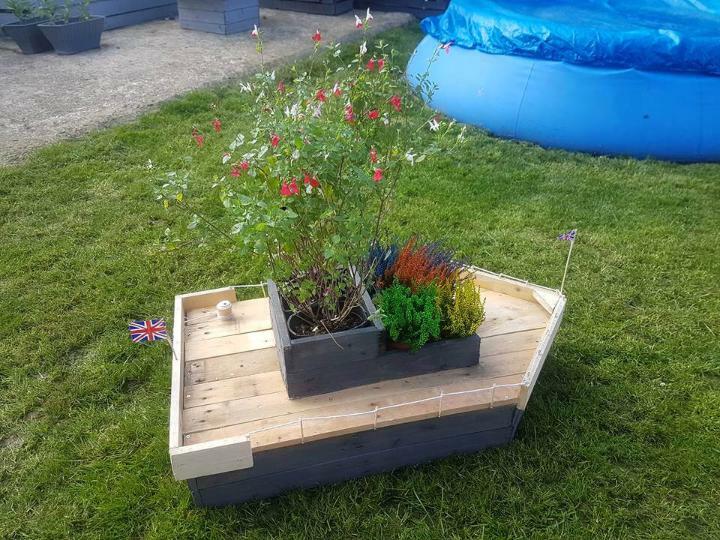 Here is a totally new kind of planter centerpiece out of pallets in a cute boat style so do make to adorn your garden a perfect fancy look adding much to its decor and designing. 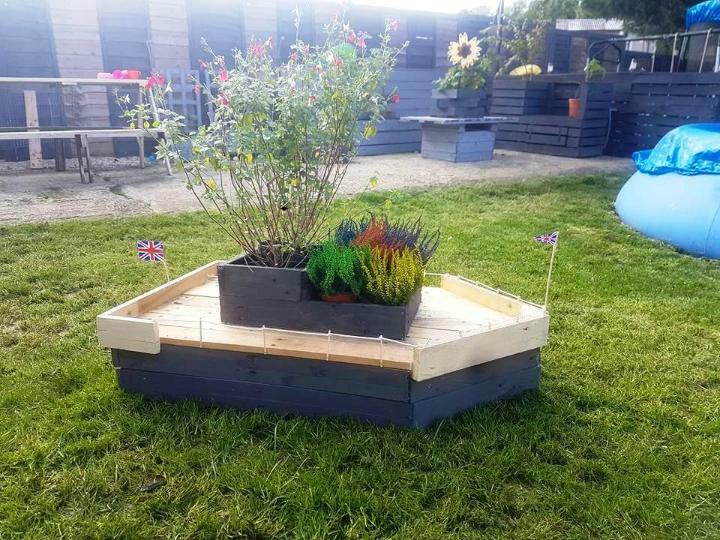 Pallets being cut into the smaller size pieces of slats and stripes have been nailed together to shape up this cute and lovely planter boat with a box style upper section filled with soil to house your favorite blooms in. The outer area of the cute boat has been stained in the two stripe layers of white and grey with the floor kept unfinished and the upper sections also in grey thus you get a subtle and soft toned piece for your garden decor.